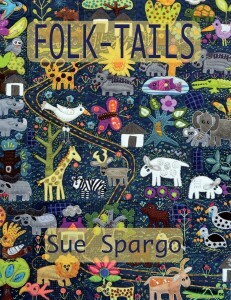 Sue Spargo’s latest book – Folk-Tails is a breathtaking example of everything we love about her work. Her quirky, whimsical style inspired by her childhood in Africa speaks to us all. 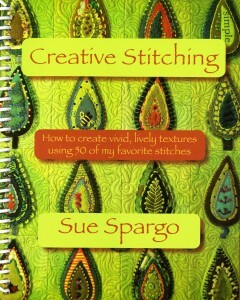 When I read Sue’s description of this book, it brought tears to my eyes so I will let her take over from here…. Consumed with this need in October of 2014 I sat down with pen and paper and sketched, Folk-tails, a piece of my soul. This quilt measures 37 1/2″ x 43 1/2″ – a perfect conversation starter! 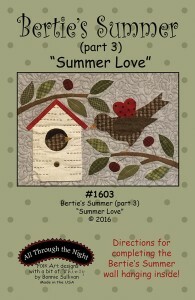 To learn how to do the embroidery stitches showcased in this piece, you need her Creative Stitching guide. 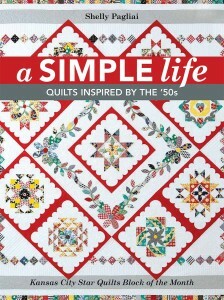 This is the type of book and companion that quilters buy as a gift for THEMSELVES. They are not going to wait for someone to buy it for them – it is that good! 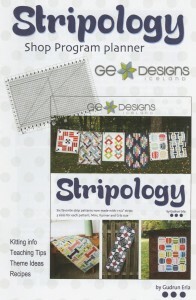 Gudrun Erla of GE Designs has just released her third book featuring her top selling Stripology ruler – and all I can say is WOW! 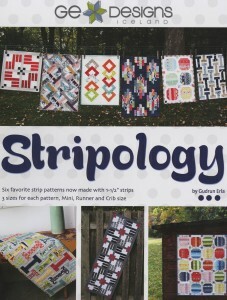 For those of you who are already fans, Stripology Squared features ten patterns that ALL use layer cakes. In this book, Gudrun really makes this ruler sing. 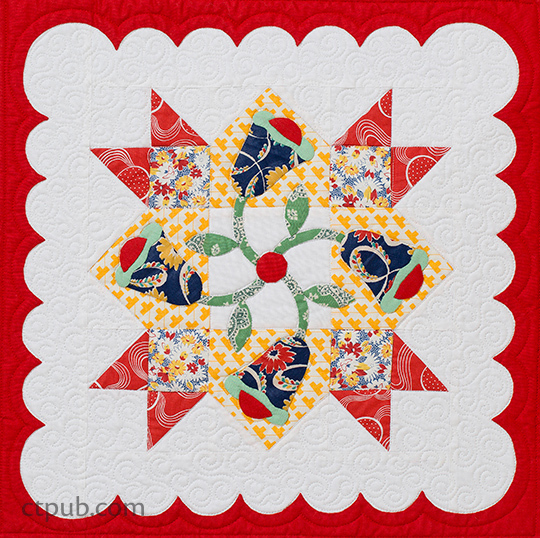 Learn how to use that 10″ square imprinted on the ruler – and then take it one step further and learn how to use those angles! With ten different patterns in multiple sizes from crib to queen/king, the hardest part will be choosing which one to make first! And did I mention that it was in full color and has a special binding so it lays flat??? The Stripology ruler has become a shop staple since it’s release – and should be showcased front and center in YOUR shop! 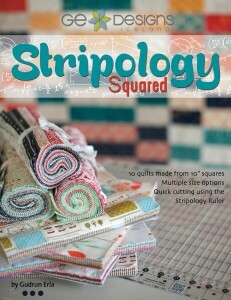 Why not set up a display showing the rulers, a huge display of the pre-cuts along with the new book. Be sure to include the previous best sellers. And, if you would like to teach from these books, try out her Shop Planners written just for shop owners that are available for the first two books in the series. 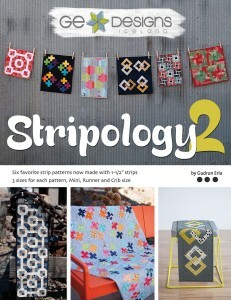 These books will be arriving in our warehouse any day so order them today and set up your own display! 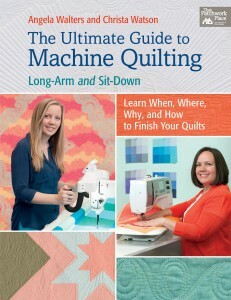 Why not create the Trifecta by selling the tool, the book, and the fabric? 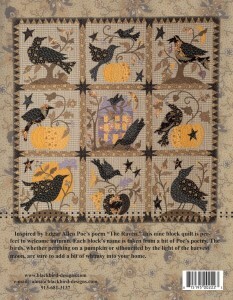 I love everything by Blackbird Designs and their whimsical take on the harvest season is no exception. This nine block applique quilt would be a great block of the month – or two blocks a month if your customers want to have it done by Fall. 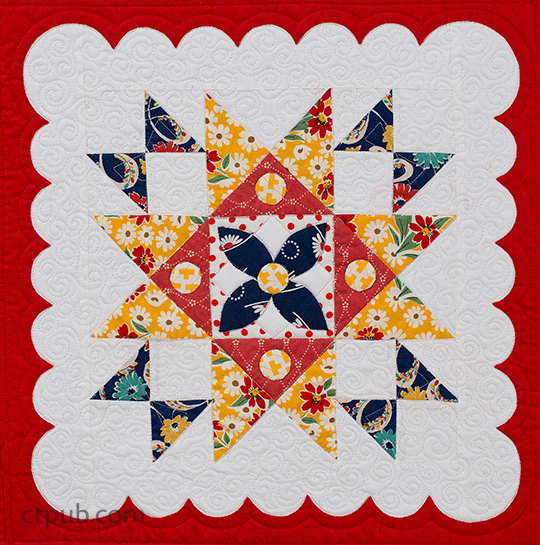 Applique is the perfect portable summer project. 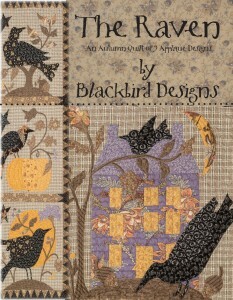 Why not display the book with appropriate fabrics – and don’t forget the embroidery threads. 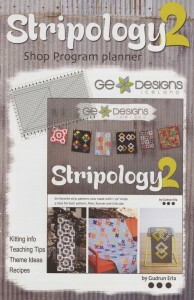 Make a statement by letting your customers know that you are a one stop shop! 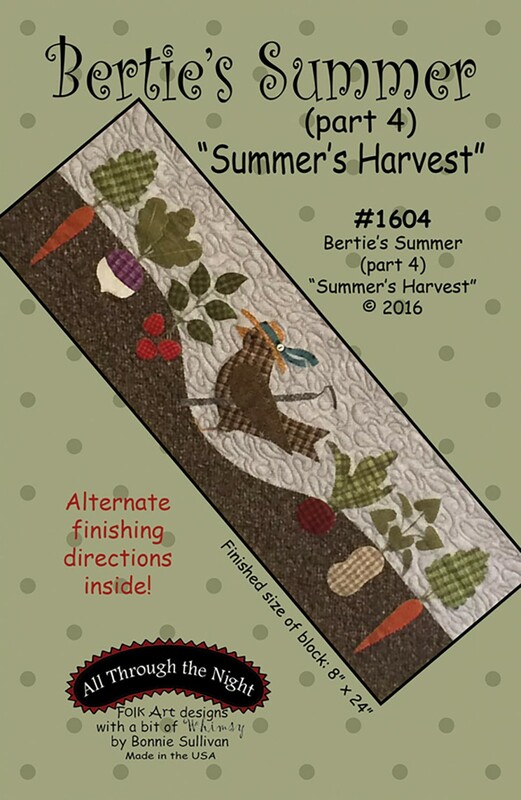 Elizabeth Hartman certainly can – and her latest pattern has hit the top 100! 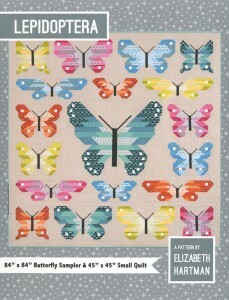 Lepidoptera and Frances Firefly are her latest patterns that will be released later this summer. 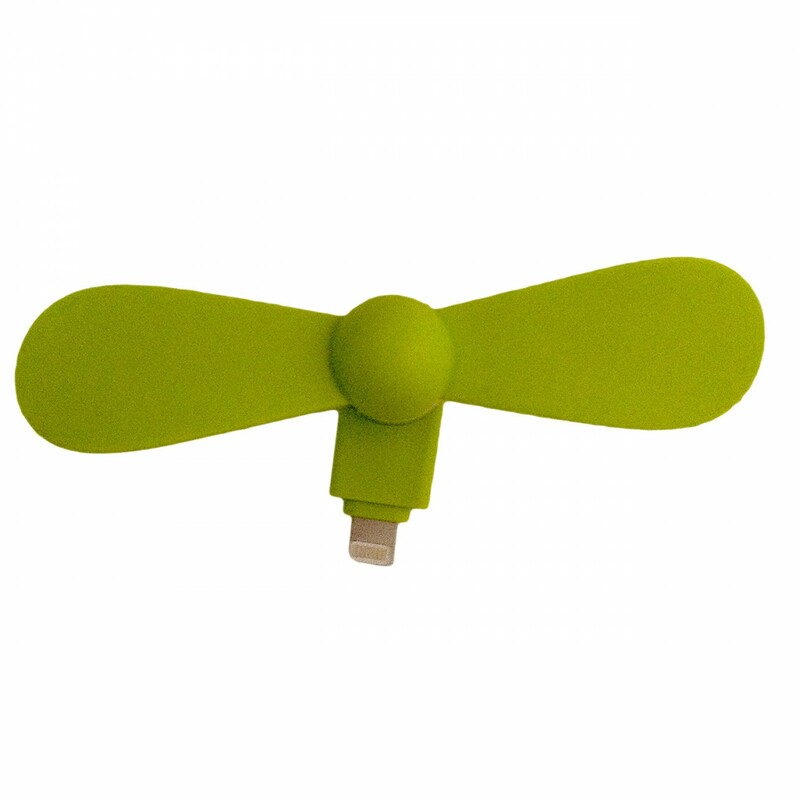 Order now so you will receive them as soon as they arrive. 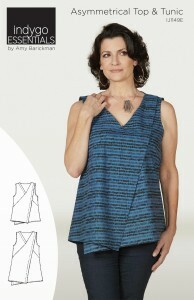 These patterns will join her other top sellers. 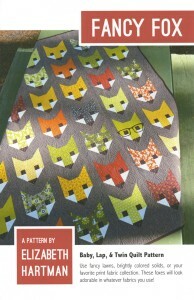 Fancy Forest fits a twin bed and includes the characters who have now emerged as stand alone patterns. 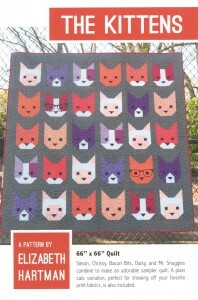 Fancy Fox and The Kittens are charming examples of taking one of these characters and adding personality to each one. 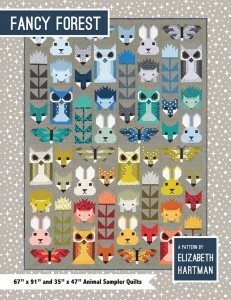 To see ALL of the critters in her menagerie, visit our website: Elizabeth Hartman. 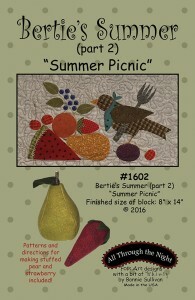 As I am writing this, it is the first day of summer and the perfect time to begin Bertie’s Summer block of the month. This four part series features Bonnie Sullivan’s summer line of Woolie Flannels. 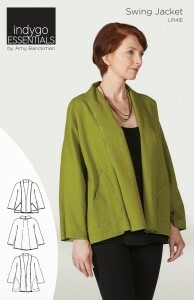 As of today, ALL of the patterns are in stock – which is a miracle considering the popularity of everything by Bonnie! These are so cute, no one will be able to resist. 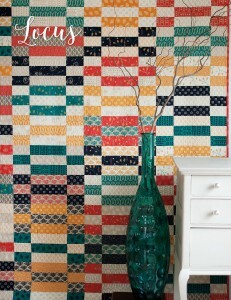 Why not display the patterns with your entire collection of Woolie Flannels and Prescencia threads. This is a great display just in time for Row by Row and Shop Hop season! 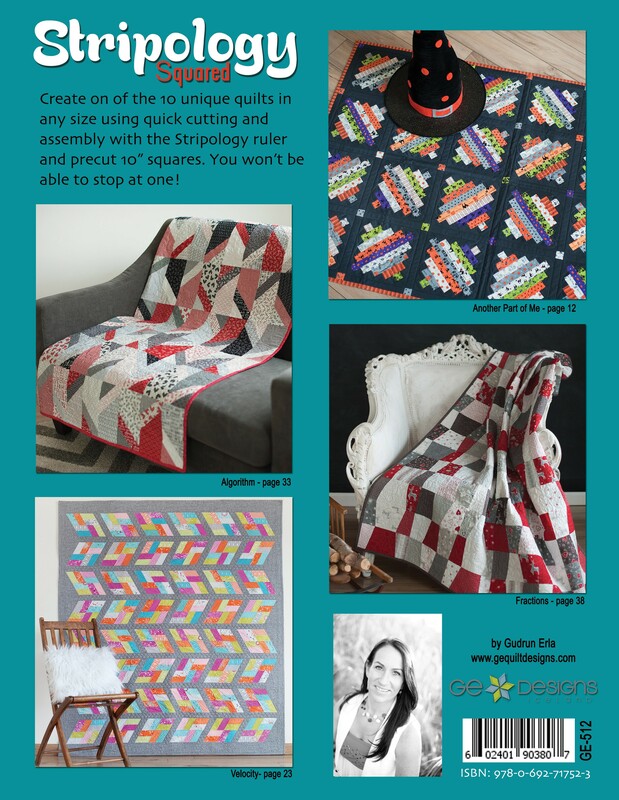 When SEVEN books in the Checker 100 are books on free-motion quilting, you know that your customers now have the self-confidence required to complete their own projects. FOUR are written or co-written by Angela Walters! 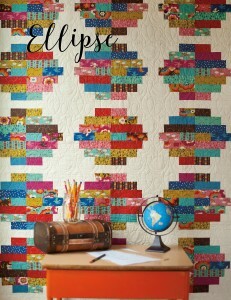 Her latest collaboration with Tula Pink will be out this summer. 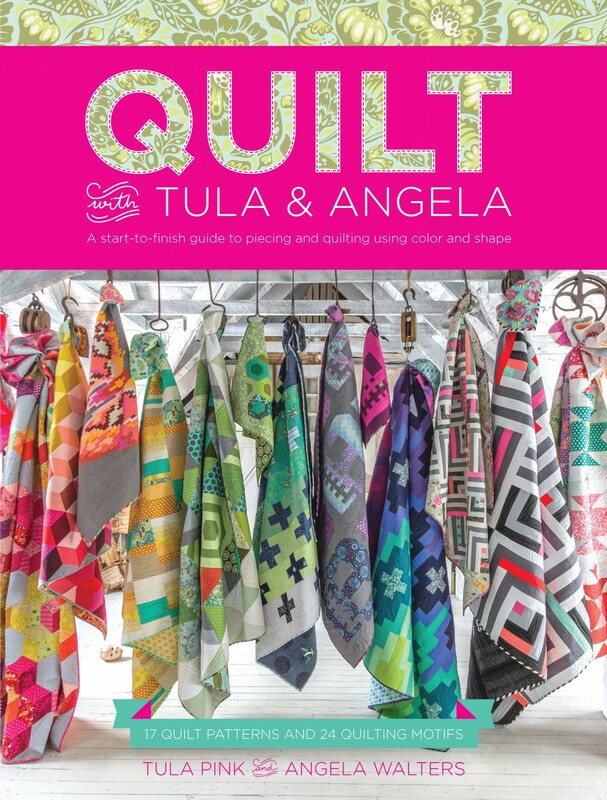 Quilt with Tula & Angela (#S3159) combines Tula’s knowledge of color with Angela’s quilting designs. 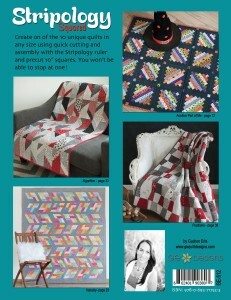 You have a front row seat as they choose the quilting patterns to accent Tula’s graphic designs. 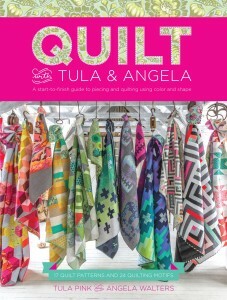 The book includes 17 designs by Tula and 24 quilting designs by Angela – and is filled with full color eye candy! Who can resist a collaboration between two of the top names in the industry who have earned their stripes??? Its is worth the wait. 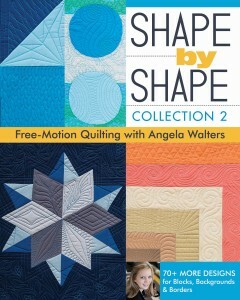 Shape by Shape Collection 2 (#11152) is a follow up to her first Shape book. 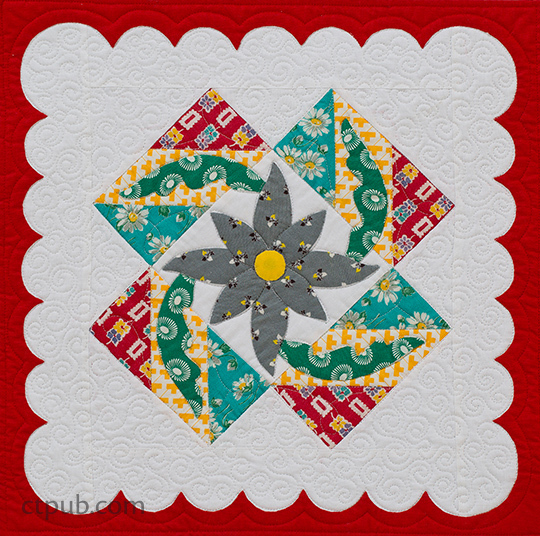 Collection 2 includes 70 designs to enhance all of the geometric shapes in your quilts! 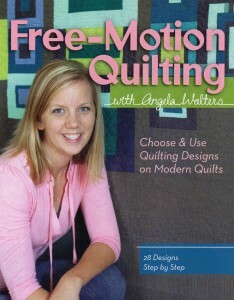 Her original Free-Motion Quilting book (#10860) has become the go-to source for everyone who wants to give this a try. This is the must have book that should be in everyone’s library! 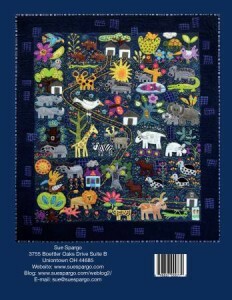 Angela combined forces with Christa Watson – who is an expert on quilting on a home sewing machine in The Ultimate Guide to Machine Quilting (#B1350T). 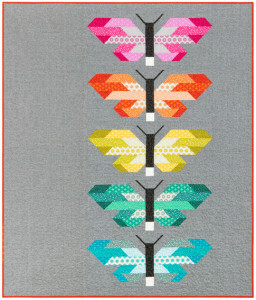 Learn which motifs are suited to which medium and why. Why not set up a display of the books and notions that they recommend in these books? 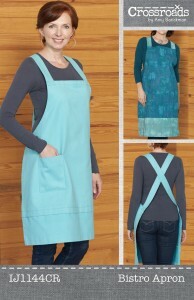 You probably already have the notions, needles, and threads you need in your shop – you just need to draw attention to it! 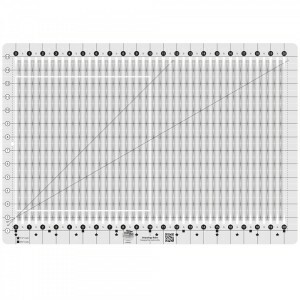 Create an “instant” display today! 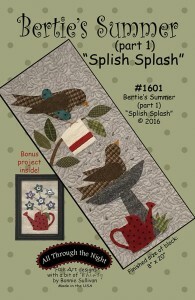 Kristine Poor of Poorhouse Designs has three patterns in the top 100 – and the sales of these patterns have paid the rent for more than one shop! 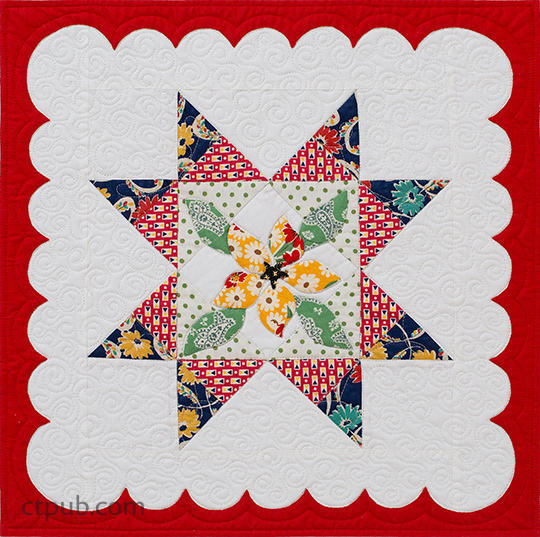 Her latest pattern – Fold’N Stitch Leaf Topper (#PQD-213) is due out this summer – and in my humble opinion is the cutest one yet! 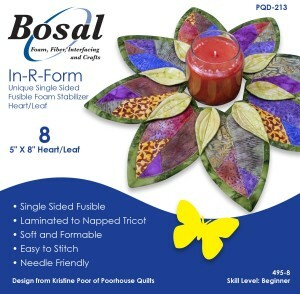 This time, Bosal is packaging the pre-cut leaves (#495-8B) and they will be available at the SAME TIME as the pattern! This candle holder measures 17″ across. 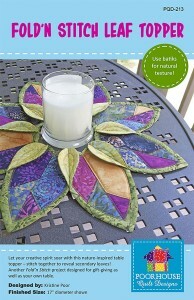 Order it now so you can be one of the first to have the sample done before those Summer travelers arrive! This one is short and sweet – and features the perfect register display this summer! 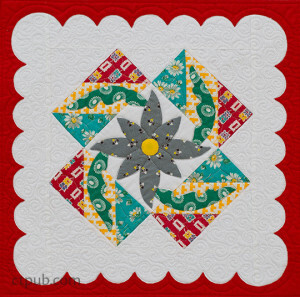 The average age of a quilter? Early 50’s. The average age of the onset of hot flashes? Early 50’s. Enough said! These little babies plug into your phone and REALLY work. Any menopausal woman will bless you. They are available for iPhones (#SMRTPHN-IPHA) and Android (#SMRTPHN-ANDA) phones and at $11.00 retail, you won’t be able to keep them on the shelves! 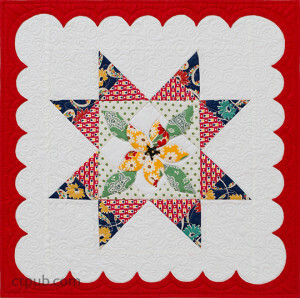 A Simple Life (#KCS11194) was inspired by Hazel Ilene Hyde’s little red diary from the 1950’s. The age of poodle skirts, sock hops and roller rinks are commemorated by Shelly Pagliai. She has designed seven projects using blocks -many combine piecing and applique. The block names will bring back memories of childhood spent with family and friends. 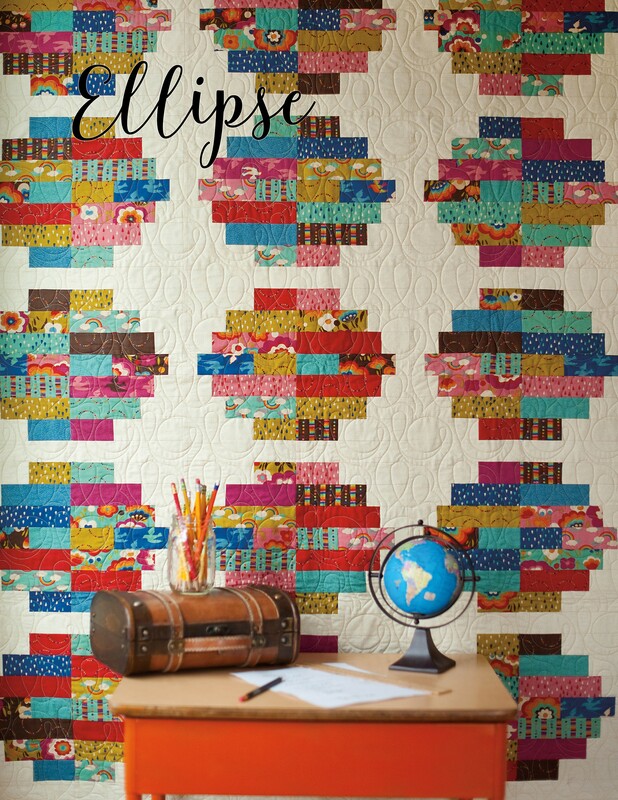 The setting is absolutely stunning and the choice of fabrics has to make you smile! 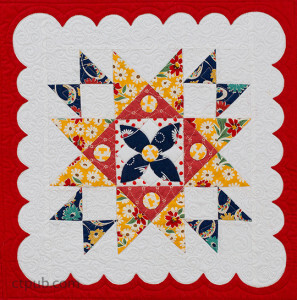 Kansas City Star included it as a possible Block of the Month program – which is perfect because each block features simple techniques but they aren’t going to be completed in an hour! What is old is new again. These reds, turquoises and yellows are considered modern today!